Comtrol proposed that the company use the RocketLinx ES8105 to establish communication between all required devices (see diagram below). The ES8105 is an unmanaged Ethernet switch that requires no user setup and immediately starts operating as soon as power is applied – for true “plug-and-play” operation. The RocketLinx ES8105 is a rugged device and has the ability to operate in a wide temperature range, from -25°C to + 75°C. The company was thoroughly impressed with the ES8105, stating that it had the best response times comparing to competitive products. 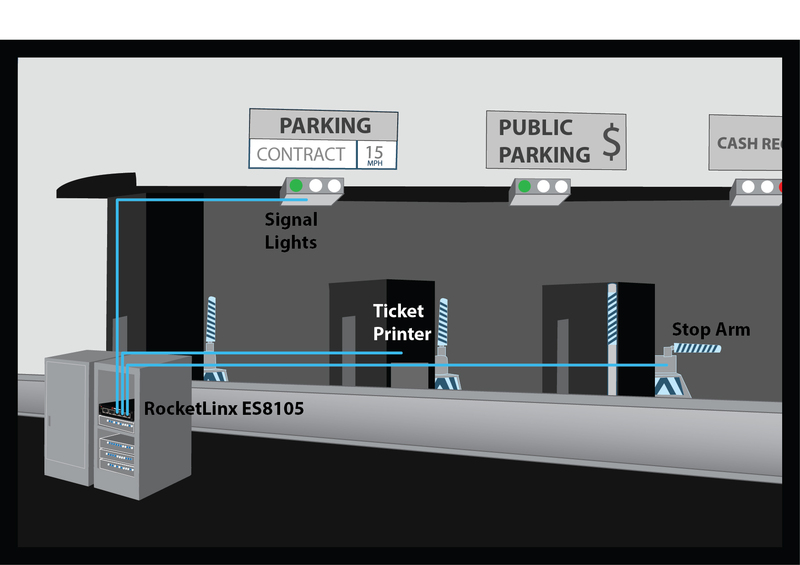 As a result, the company decided to standardize the RocketLinx ES8105 for deployment in its Ethernet parking automation systems.